A visit to the island of Bali is essential part of any visit to Indonesia and must not be missed, but it would be wise to plan a separate budget for this portion of your trip. Bali is the epicenter for tourism in Indonesia and the prices reflect the constant steady stream of Europeans and Australians that come year round to enjoy the diversity that the island has to offer. (I’ve written a separate guide, How Much Money Do I Need In Indonesia, to give an outline of costs elsewhere in this huge, and hugely varied, country). Like Indonesia, the island of Bali is larger than you might think and is more diverse as well and your budget should be dependent on where you wish to travel on Bali and the activities you wish to take part in. A little time spent planning the things you want to see and where they are will go a long way to keeping you on track and on budget. You can also get a sense of what to bring with you with Travel Happy’s Bali Packing List. 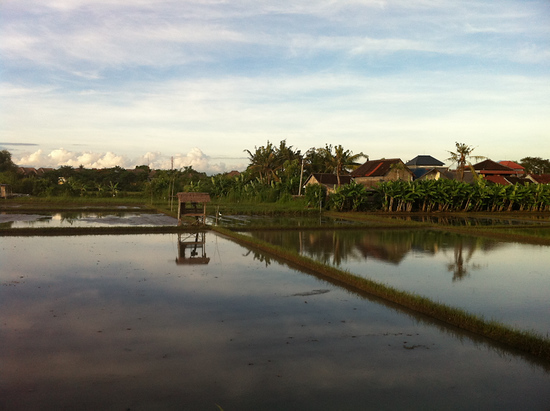 With a few exceptions, I found that the further north I traveled on Bali, the less expensive things became. On the southern part of the island, budget deals were best found in Kuta and Legian, but it was more challenging to find good values in that price range and took a little more research and walking around. Bali can be a difficult place to nail down a daily budget as like Indonesia, the island is so diverse and a budget that will work for traveling to Ubud and Lovina may not work for one partying in Seminyak and Kuta. The easiest way to save money is to leave the more popular destinations and head to the smaller towns and villages where tourists are still less frequent and you’ll save greatly on accommodations and food. Overall, $25-30 USD a day for a solo, bare budget backpacker is quite doable an will get you basic accommodations, 3 meals and a few beers or transport everyday, but will likely be stretched if you spend all your time in the highly touristed areas of Sanur or Ubud. Couples shouldn’t spend much more since most accommodations like guesthouses or losmens charge the same price if there are 1 or 2 occupants. Couples can get by on $35-40 USD a day. If you increase those figures by half as much, you can travel very comfortably and move about quite freely. Bali is already the most expensive tourist destination in Indonesia and is slowly becoming more expensive as tourists discover more of Bali, but cheap food and accommodation are still widely available if you don’t mind basic accommodations, stick to your budget, and bargain respectfully for prices. In south Bali and Ubud, bargaining is more difficult and higher prices are quite common because hotels and vendors know there are people who will pay those prices without question, so walking around to find the best deal becomes even more necessary. Rooms in Bali can be had at all price levels and there are a number of different types of accommodations from budget minded losmens to mid-range hotels to luxury resorts. Check Booking.com for a wide array of hotels in Bali that you can book online – prices range from budget guesthouses to luxury hotels. Good, budget accommodations were easier to find outside of the major tourist hubs of south Bali and Ubud, but can be had everywhere with a little effort. I also found that there wasn’t a lot of consistency among losmens, hotels, and resorts at similar prices. As an example, I stayed at three places in Kuta and another three in Ubud that were all roughly the same price, but were vastly different with respects to quality, cleanliness, and amenities. Researching accommodation beforehand was incredibly important whether that be reading reviews and viewing photos online or walking around once you arrive in town. I didn’t travel on the barest of budgets and was there during high-season, but found that the best value for my money was on the high end of budget or low end of the mid-range with 150,000-250,000 rupiah ($16-$27USD) being the sweet spot for cleanliness, comfort, and amenities like free wifi, air-con and a pool. While there were certainly choices that were cheaper that were clean and comfortable, that price range seemed to guarantee I’d get all the amenities I wanted and still get a good deal. At most places, depending on vacancy and season, bargaining for the room price was possible and I was able to reduce the price. This was much more difficult in south Bali as there was always a steady stream of customers, especially in high season. It is also quite common to ask to see the room before booking as well and can be a good way to judge what’s a fair price in a given place. There are a number of ways to book arrangements online, but often the cheaper places do not have websites and can be found by just walking around when you arrive in town, although this is not recommended in high season (Christmas/New Year). Suji Bungalows – Mediocre place as rooms are old and a bit run down, moderate bed, old bathroom. wifi in the lobby was spotty, free breakfast was poor, pool was nice and air-con. Kedin’s II – Average place, average bed, pool, fan room, average bathroom, wifi, breakfast. Perigata – Quite upmarket traditional hotel, but comfortable bed, good bathroom, international tv, free breakfast, wifi in the common areas. Coco Villas – Kinda pimp place, great service, comfortable beds, international tv, free breakfast in the room, wifi at the pool, but didn’t work while I was there. Double One Bungalows – Mediocre place to stay, ok bathroom, but bad water pressure, not a comfortable bed, air-con. Wifi in the restaurant. Aneka Bagus – Ok place to stay, wifi, air-con, nice bathroom with outdoor shower, comfortable bed. There are many different activities to participate in in Bali. There is scuba diving and snorkeling, jungle, birding and volcano hikes, classes in surfing, woodcarving and cooking, and many, many spa experiences. When it comes to booking tours and activities, prices vary widely. Do your research and seek out quotes from different operators to make sure the price you pay is fair. Travel agents will offer different prices for the same activities so seek out other travelers to get their recommendations and book with a reputable vendor. Ask questions about what to expect as the difference in price might be the quality of transportation, how many people are on the tour or whether or not they provide food. There are tours and activities at all price levels and many different levels of service. Here’s a very small list of possible activities on Bali which you can book online through Klook. This will give you an idea of what prices you can expect to pay for each kind of activity in Bali. 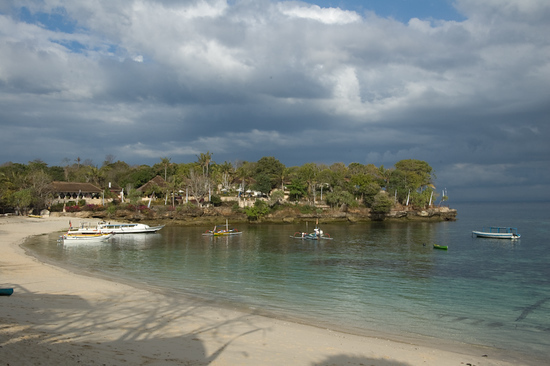 Visit Nusa Lembongan, Nusa Penida and Nusa Ceningan in one day – see stunning scenery above and below the waves. Enjoy a beautiful sunset, sumptuous buffet and music and entertainment aboard a the Bali Hai II. Enjoy Bali’s dolphins – 90% success – complimentary subsequent cruise available if you don’t see them. An action-packed day including trekking, a waterfall jump, a local village, swimming at the Secret Garden and a visit to the famous Pura Ulum Danu Temple. Immerse yourself in the stunning rice paddy scenery with the wind in your hair. Go scuba diving to explore the world-famous Liberty shipwreck just off the beach at Tulamben, north Bali. See the sunrise from the 1717m high Mount Batur and be rewarded with stunning views over Mount Agung and Mount Abang, a tasty breakfast and the chance to try the most expensive coffee in the world direct from the plantation. See the sunset over the sea from Luhur Uluwatu Temple perched high on the cliff, watch a traditional and powerful Kecak Fire Dance after dark. Enjoy the beautiful Tanah Lot temple perched on the rocky outcrop above the ocean, meet the monkeys and flying foxes at Alas Kedaton and see the 17th-century royal family temple of Taman Ayan. Meet local artisans and see a variety of local crafts, traditional performances, and holy rites. Private airport transfer for up to 4 passengers. Do your own thing in comfort with your own driver. Make your own itinerary and go where you want, when you want to. 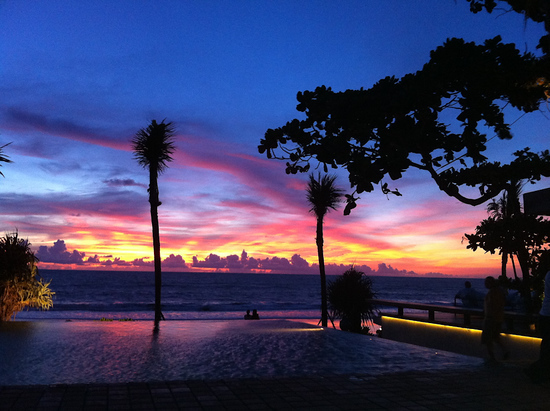 For more Bali activities to browse, see Klook’s Bali Activities page. Mobile phones are everywhere in Bali and there’s rarely an area that doesn’t have service. You can buy an Indonesian SIM card online with Klook and pick it up at the airport on arrival in Bali. This can be more convenient than going direct to a telecoms shop. There are two predominant companies, Telkomsel and XL. Both are available as a prepaid service and finding sim cards is as simple as walking into 7-11, Circle K, or an Indomaret store. Prices for the sim card should be around 2,000 rupiah ($.20) and with fairly high voice and data use, 100,000 rupiah ($11USD) lasted me almost a month. You’ll also find many warungs in small villages sell “top-up” cards as well. If you have a smart phone and want to get data, you’ll need to inquire within a mobile phone store in a larger city (eg Kuta, Sanur or similar) to get the proper settings. During my travels I used both Telkomsel and XL and found the rates to be similar and while both worked well, Telkomsel had greater 3G coverage and worked more often in far-flung rural areas. 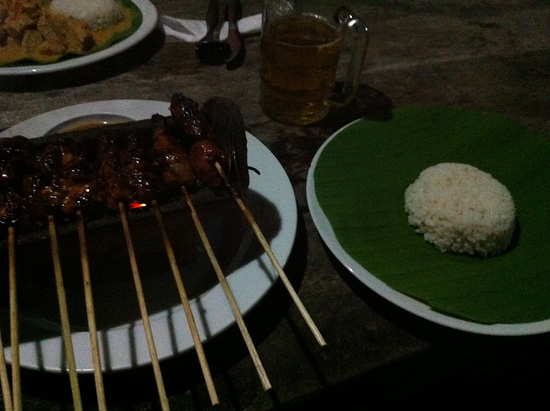 Food in Bali ranges from street food and cheap warungs to five star restaurants with famous chefs. Authentic Balinese food such as betutu ayem (Balinese chicken) and suckling pig are rarely enjoyed by visitors because they are seldom served in restaurants and often take a full day of notice to prepare in those that do. Other Indonesian dishes such as nasi goring (fried rice), mie ayam (chicken noodle), mie goreng (fried noodle), gado-gado (vegetable salad served with a peanut sauce dressing), sate, and tempe (soy patty) are popular and available everywhere on the island. There are scores of good restaurants to be found in the main streets of Kuta, Seminyak, Sanur and Ubud and in most of the other popular destinations. In these areas, finding budget eats will be more challenging, but can be had by following your nose and doing a little research. Simple warungs and street food carts are the keys to eating cheaply and some of them are as tasty as the 5-star restaurants in the poshest of resorts with starting as low as 10,000-15,000 rupiah ($1-$1.50USD). While more challenging in south Bali, it’s still possible to eat well on $7-9USD a day. Western food was also widely available in the popular destinations, but was generally much more expensive than the local fare. Cigarettes are widely available in Bali and everyone smokes everywhere. Prices ranged slightly, but a pack of Marlboros often was 13-17,000 rupiah a pack with most costing 15,000 rupiah ($1.50USD). Local Indonesian cigarettes could be bought cheaper, anywhere from 7-10,000 depending on the brand. Bintang is the national beer and is sold everywhere. Liquor is highly taxed in Indonesia and it’s obvious in the prices. A small bottle or can of Bintang often went for 25-27,000 ($2.75USD) rupiah and a large bottle 37-40,000 rupiah ($4USD). Hard liquor is even more expensive with a mixed drink starting at 70,000 rupiah ($7USD) in most places with a bottle of Absolut costing in excess of 600,000 rupiah ($65USD) in a liquor store. There are ATMs and currency exchange booths at Denpasar airport and are also available prior to flying at any airport with a direct connection to Bali. While the rate at airports is generally slightly (1-2%) lower than the published rate, it’s usually a good idea to change a bit before leaving the airport for transport or other situations that may arise. Indonesia has four state owned banks, BNI, BRI, BTN, and Bank Mandiri. These four banks have a large presence across the island and in the southern part of Bali there are myriad ATMs, exchange booths, and banks on most every road. Most ATMs in this area operate as kiosks or are outside bank branches and therefore are available 24 hours. While there are many signs located outside alleyways advertising higher than published rates, be aware and keep on your toes as I heard more than one story of problems and travellers being shortchanged. As you travel further away from South Bali, exchanging foreign currency begins to become more challenging. I found that most destinations had an ATM or somewhere to exchange money, but even in popular places like Amed or Tulamben there weren’t any ATMs, so it’s a good idea to be prepared before setting out and remember that many hotels and losmens don’t take credit cards. Many ATMs will have a sticker on the front denoting the denomination in which cash is provided, either 50,000 or 100,000 notes. While it means more bills to carry, try and stick to the 50,000 notes as it will save you headaches in the future. The 100,000 rupiah note is often tough for businesses and vendors to break in many places so think ahead and break them as often as possible at 7-11s or other larger businesses. Trying to break one in a rural area can be a challenge sending a food cart vendor scrambling around to borrow money from others to provide change. Having many small bills are they key to easy purchases in Bali. Credit cards are widely accepted at most hotels, shops, and restaurants in southern Bali and in Ubud, but many smaller restaurants and budget accommodations still take only cash. As you travel further out from the popular areas, the ability to use credit cards diminishes, so make sure to check with your hotel or losmen that they accept them before setting out. Wherever you are, except for the most high-end establishments, expect to be charged a 2-3.5% premium to use your card as most businesses don’t pay the credit card’s fee. Visa and Mastercard are king in Bali and while it’s possible to use American Express in some places, it’s rare and the fee will be even higher. While not the fastest or most reliable in Southeast Asia, the internet is widely available in most areas of Bali. Rates at Internet cafes are extremely cheap, even in the tourist hubs such as Kuta or Ubud. I’ve seen them as low as 200 rupiah/minute ($.02) in many places. Wifi is also extremely easy to find and most guesthouses, hotels, and restaurants offer it for free to their customers. While I carried a laptop with me, during my time in Bali I never paid for internet usage and was surprised at how easy it was to find free wifi. Bali is a relatively small island but while it’s theoretically possible to circle the whole island in one day, it would be an extremely long day and the traffic in southern Bali can be brutal. Overall, public transportation isn’t as widespread or convenient as in some other tourist destinations as most locals either drive a car or more likely have a motorbike. Bemos are often a van or mini-bus and are the primary form of public transportation in Bali. Traveling by bemo, you can expect your trip to be time consuming and inconvenient as there are often multiple transfers that you’ll have to make during your journey. For example, to get from Kuta to Ubud by public bemo, you’ll need to transfer twice and take three separate bemos. There usually aren’t set prices for a trip, but prices often start at around 5,000 rupiah ($.50USD). Perama is the dominant tourist bus company on the island and runs shuttles to and from most towns and destinations and are advertised widely in hotels, losmens, and travel agencies. Shuttles range from small minivans to mini-buses to regular buses depending on the route. Some are air conditioned, but for the short trips most are not. I found tourist buses to be an easy and convenient way to get around the island and prices are largely set by Perama, varying only slightly from shop to shop. Mentioning to one travel agency that the other down the road is cheaper will get them to match the price. The fare from Kuta to Ubud was 50,000 rupiah ($5 USD) and took 90 minutes. Prices will be higher for less travled routes and destinations. Motorbikes are the primary form of transportation on Bali. Renting a motorbike is cheap, easy, and is a great antidote to traffic. I found it to be the cheapest and easiest way to travel around the island and provides the freedom to go anywhere at anytime. It’s possible to rent them anywhere and everywhere on the island and you’ll often hear calls for “transport” as you walk down the streets, especially in South Bali. The most common price I heard quoted was 50,000 rupiah ($5USD) per day, but with a little bargaining or a multi-day rental that price can drop in half. A normal motorbike is more than enough for Bali’s roads, but if you prefer, it’s also possible to rent larger motorbikes (150-200cc) and I even saw a shop in Sanur advertising Harley-Davidsons and Ducatis for rent. Good maps are hard to find in Bali, so look for the Bali Pathfinder and rest assured that most roads are marked pretty well. It’s also possible to rent a car with or without a driver in Bali as well. Most rental cars tend to be small SUVs and can be had for as little as 80,000 rupiah ($8.75USD) with a little bargaining or a multi-day rental. It is possible to rent larger or more rugged SUVs, but again, the little SUVs are all that’s necessary to handle Bali’s roads. If you’d like to rent a driver along with the car, there are plenty of people that will jump at the chance. I heard many different rates quoted to people, from 250,000-600,000 rupiah per day that depended on the quality of the car as well as the time and distance traveled. You can book a car with driver for Bali online with Klook if you want to avoid the hassle of negotiating with touts on the street. 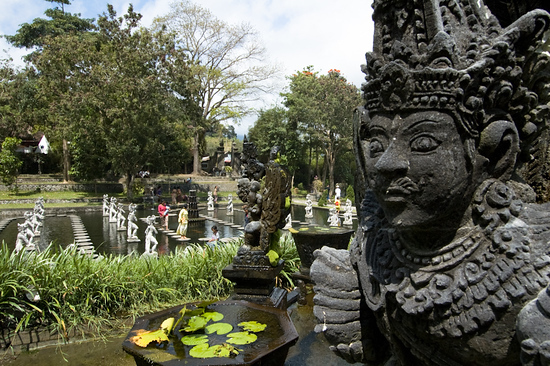 There are numerous different routes to fly in and out of Bali. AirAsia has revolutionised the market with cheap fares into Bali from Jakarta, Kuala Lumpur, Bangkok, Phuket and more. There are scores of long distance flights from Asia and Europe into Bali too. Booking domestic Indonesian flights besides AirAsia while outside of Indonesia is very hard work – most domestic airline websites don’t accept foriegn credit cards and are so poorly designed that they are difficult to trust. Checking the Travelfish Indonesia forum and Lonely Planet Indonesia forum for current recommendations of agents in Indonesia who can book flights for you is the recommended route. They will add a small surcharge for their service.